As a teen, you no longer have to flip burgers or work a cash register if that’s not your thing. The use of technology is helping teens find jobs and make money faster than ever. 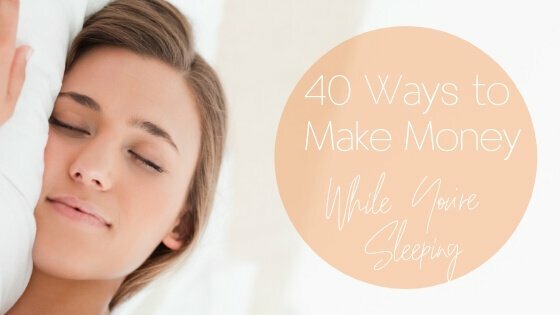 If you’re wondering how to make money as a teen, it’s time to go against the norm and look into the following 50+ different and unique ways for teens to make some extra (or even a ton of) cash! One of the best ways to make money as a teen is from your own home. You don’t need a driver’s license or put gas into your car to get to work. And, you can do it in your free time after your evening homework or on the weekends. As long as you’re at least 13 years old, you will have no problem finding an online job! There are dozens of high-quality online survey companies which allow you to share your opinion online and make money on your time. You don’t have to drive to work or even leave your house. Another bonus is you get paid when you want to work and you there are multiple ways you can get paid via gift cards or cash sent to your PayPal account. Money Pro Tip: One of the best places to start is with Survey Junkie. We love Survey Junkie for teens because of their TrustPilot rating of 8.8 out of 10 and for the reason they allow teens to get started right away at 13-years-old! You will take several online surveys each day on a variety of topics ranging from your opinion about consumer brands to questions about your daily routine. Survey Junkie will then send you rewards points for each survey that you can redeem for gift cards or cash via PayPal. Money Tip: Double up and share your opinion with a second top-rated survey panel with Harris Poll Online and get paid twice! You earn rewards points called SBs for each activity you complete. Because you get paid to search the web, you can theoretically “get paid to study” when you need to research online to complete school assignments. Every 100 points are worth $1 in rewards. Gift cards rewards start at $3 and PayPal cash requires a $25 balance. To join Swagbucks, you need to be at least 13 years old. 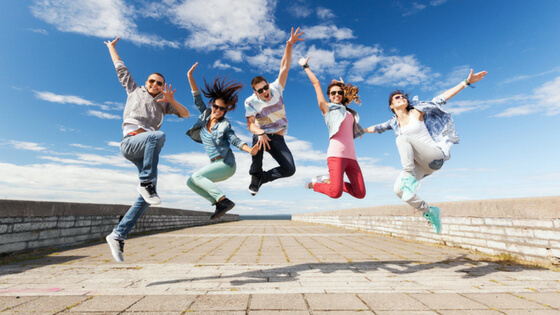 Check This Out: Our latest Swagbucks Review to learn exactly how to make money as a teen with this extremely popular side hustle. Another creative way to make long-term income is starting a blog. This can be a better option if you prefer to write instead of making videos. Remember, we all have different interests and talents and that’s what makes the world go round. If you’re artistic, you can also publish your photographs or custom-designed graphics on your blog to attract potential clients and customers too. A blog doesn’t have to publish the written word only. Pro Money Tip: Once your blog is up and rolling, learn from the best on how to maximize your income with Michelle’s Making Money from Affiliate Marketing Course. Clothing is a fun and easy way to develop your creative side. With CafePress, you can create clothing designs and upload them to your online store. When somebody buys your design, CafePress prints and ships the product for you! You only have to design and get paid. Designing your own clothing designs is also fun because you can wear your designs to school or post them on Instagram to generate more buzz about your brand. Today is your day to be creative! Video games are a growing hobby across the globe. You can also make money by creating digital items to sell in the internet-based game SecondLife. With this income idea, you get paid via in-game purchases for the items you design. It can be anything from clothing, sports cars, or buildings. The best part of SecondLife is that you earn real cash from these digital purchases. This is probably one of the most exciting ways for teens to make money. Many adults wish this option was around when they were teens. Unfortunately, the internet didn’t exist or was still in its infancy. Pick one or more of the categories you’re talented or interested in to begin building experience. The skills you learn can help you create your own future business and maybe even develop long-term client relationships. You don’t have to wait until a summer college internship to explore these different ideas. Clients are willing to pay freelancers like yourself for the most simple tasks because they don’t have the time. 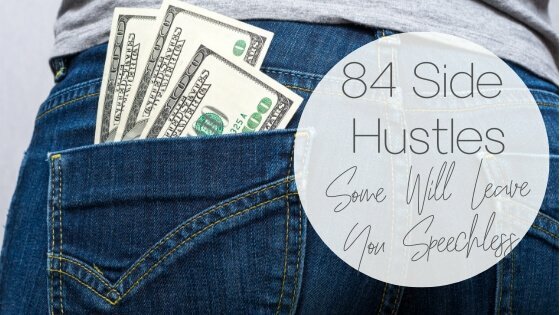 As long as you are persistent and produce great work, you will earn a steady income that can be noticeably more than working fast food or retail. Teenagers often don’t realize it, but they know way more about computers, smartphones, tablets, and electronics than anyone other age group as a whole. Your skills could be as simple as setting up a new iPhone, fixing a broken screen, setting up a home entertainment center, or even help create a website using WordPress or Wix. The best place to start looking for jobs is going to be offering them inside neighborhood social media groups such as NextDoor or Facebook. If that doesn’t work, contact your local senior center and offer your services to anyone looking for help with electronics. For many teens and adults, video games are a hobby where you only spend money to buy new games. Now, you can even get paid to play video games through several online platforms including Twitch where people pay you to subscribe to your channel. You can also keep a lookout for eSports tournaments. If you can win tournaments, you can earn cash prizes and even sign sponsorships with gaming companies. Be the first of your friends to hear new music. Slicethepie and Music Xray are two platforms you can join to preview new songs. For each song you listen to and review, you get paid cash! If you’re musically talented, you might also consider uploading your music to one of the sites to gain a foothold in the music industry too. If you’ve ever been downtown, you’ve probably seen street musicians playing an instrument. You can also get paid to play your instrument as passersby put cash into your open instrument case. Depending on which instrument you play or your comfort level to play solo, you can also enlist a few friends to play in a group too. Just make sure you split the tips! If you like to help others learn, you can also make money by teaching a class or music lessons at home. It will most likely be for students younger than yourself. This can be a fun way to hone your skills and gain teaching and public speaking appearance too. Depending on how many students you have, you can also make as much teaching a one-hour class as you do working all day as a cashier or burger flipper. You can also make money tutoring younger students. The best way to find pupils is to ask a family friend if their children need help with a subject. For example, you can help teach long division or fractions if you’re good at math. Being a teen tutor can also be more cost-effective than hiring an adult or college student tutor too. And, you also gain experience so you’ll be more comfortable tutoring if you tutor as a side hustle in college. As internet bandwidth speeds increase and the 5G technology rolls out soon, streaming video is becoming more popular. With your smartphone or webcam and some basic video editing software, you can create short videos that engage your viewers. Whether you want to review makeup, video games, DIY crafts or room renovations, you can build a following if you’re persistent. YouTube videos are one way creative college students make over $2,000 a month! If you need help brainstorming, search YouTube for other teen vloggers. There are more of them than you realize. Not every author is old and crusty. And, you don’t need to earn your English degree first either! While your writing style and quality can improve with age, you can still write and sell ebooks online to become a self-publish author before you turn 18! The biggest ebook marketplace is Amazon Kindle. You can upload your book for free. To help generate more initial sales, share the launch details on social and ask your friends to spread the word. Also, start with a selling price of 99 cents for the first week or two to generate a high volume of sales. Gradually increase the price and ask the first buyers to leave a review so you rank higher in the Amazon search results. To save on shipping costs, you can also create digital items that are electronically delivered too. Pro Money Tip: Listen to Money Peach Podcast Episode #20 where Brooklyn launched her own business at age 14 making custom dog collars. Teen photographers can also sell their photos online. Most stock photo sites like DepositPhotos or Shutterstock require you to be at least 18 years old before you can create an account to sell photos. Instead, you can submit your photos to outlets like Teen Ink or your Instagram account until you turn age 18. If you are someone who has a passion for writing and you have enough talent for writing, you should look into becoming a freelance writer. With over 400 million blogs on the internet, there is plenty of opportunity for companies or blog managers to hire you to write articles for them. The best place to start is to find blogs you’re already fans of and look for a “work with us” or “contact” page. If you really want to impress your future clients, you can start a very simple blog to write your own content which can also double as a portfolio for your future writing jobs. This income hack might be more relevant when you’re a college student and need to buy new textbooks each semester. But, you might have textbooks and other used books that you can sell on Bookscouter. All you need to do is scan the barcode of the books you wish to sell to get an instant buyback price. Once you’re finished, you print out the prepaid shipping label and get paid the day after your textbook shipment arrives at the vendor’s warehouse. Whether you want to clean out your personal collection or you look for hidden treasures at thrift stores, Decluttr is one of the easiest ways to make money now from your old CDs, games, movies, and electronics. If you’re more patient, you can also try selling on Amazon and eBay as a third-party seller. You won’t get an instant buyback price, but you can earn more money when you make a sale. Or, you can always try both and see which option is better for you! U-Haul occasionally hires customer service reps that are at least 16 years old. The average minimum age for this industry is typically 18 years old so you can get a head start to gain valuable experience that can open doors in the future. Every family handles chores and allowances differently. You might not get paid to make your bed or take out the trash because those are your daily duties, but your parents might pay you extra for landscaping the backyard or painting a room. This one isn’t as well-known, but the return on investment for this one may be the highest you will see on this entire list. High school students are writing essays and getting FREE money to put towards their college tuition and living expenses, and get this- they are generating a few hundred thousand dollars by doing it! We recently learned of a student who earned over $700,000 in college scholarships and grants for college. This student will graduate from both undergrad and graduate school with money to spare and literally won’t pay a dime for his higher education! Another valuable life lesson is learning how to earn passive income. In other words, making money while you sleep. Learning the basics of investing when you only earn a small income can prepare you to properly invest when you begin earning a real paycheck. Stockpile is one of the best platforms for young investors as people can gift you stock and you can buy stocks and ETFs for only 99 cents a trade. You can also create a custodial account with your parent’s brokerage that you can gain full access to when you turn 18 years old. This one is a very unique way to make money, but if you know anything about the price and scarcity of sneakers, then you know people are willing to pay top dollar for sneakers in high demand. Check out the Six Figure Sneakerhead to see how this guy literally makes over $10,000 every month buying and selling sneakers. Another great resource is to check out Stock X, a website that will show you the value of certain sneakers in real time. Even though the growing presence of Flippy the Robot and self-checkout machines are changing how teens can make money locally, there are still plenty of opportunities. The day the trash was picked up in our neighborhood, a teenager knocked on my door with pictures of the inside of our trash cans to show how filthy they were. They then pointed out they had a pressure washer and disinfectant and they would gladly clean out both of our trash cans for $15. Fifteen minutes later he was done and my wife and I were extremely impressed with how much better our trash cans looked (and smelled)! Even more impressive was the amount of trash cans this teen cleaned in a single day. About 80% of the homes in our neighborhood had clean trash cans and this teenager made a few hundred bucks for a few hours of work. A teenager had rang our doorbell to point out the address on our curb was faded and asked if you could paint it for $5. Once I agreed to have it repainted, he upsold me with an addition of an American flag stencil to add to the curb for aesthetics. This teenager spent five minutes and made $10 painting my curb. By the end of the week, he had painted half of the curbs in our entire neighborhood! You can babysit in the evenings or during the workday so parents don’t have to drop their children off at a local daycare. Word-of-mouth referrals are one way to find babysitting jobs, but you can also list your profile on Care.com too. If you know of a popular restaurant or hotel in your area, you have a driver’s license, and you can drive a stick shift, you should definitely check out valet parking. You can increase the amount you earn as a valet parking attendant by being fast (not fast driving, but faster running back to the dropoff) and with friendly service such as opening the door and complimenting the driver or passenger any way you can. Bonus: you can also stay in great shape as a valet parking attendant! Walking personal pets is a fun way to interact with man’s best friend and exercising at the same time. It’s not uncommon to eventually turn this side hustle into a full-time business. All across the country, some pet walkers earn more than $100,000 a year! If you enjoy animals, this might be a highly rewarding job. In addition to pet walking, you should also offer pet sitting services to expand your skillset. You can care for animals that don’t need to be walked and since you’re taking care of animals for multiple days, you can earn more per gig. Plus, making sure the pet has enough food and water or interacting with the animal for several minutes each day isn’t bad either. If you can keep the animal at your house while the owner is away, you don’t even have to adjust your daily routine to be a pet sitter either. This might not be a job you want to boast to your friends about, but somebody’s gotta do it. If you don’t mind cleaning up after dogs and other pet animals, you can make a healthy wage from this job. In fact, some people we interviewed in the Phoenix area were making up to $30/hour picking up dog poop! It’s also possible to work at an animal shelter where you can get paid to care for animals, take them for walks, and play with them. Some shelters only accept teen volunteers. Even though you don’t get paid, you can earn volunteer hours that can help you earn college scholarships or receive job offers when you’re ready to enter the full-time workforce. If you have a pool at home and you can take care of it, then chances are you can clean someone else’s too. With a minimal investment of a pool stick, net, and vacuum, you can get started with your own neighborhood pool cleaning business. A great free resource for learning how to clean pools efficiently is Swim University. Money Pro Tip: A great time to start your next pool cleaning business is just after a storm or when it’s the hottest part of the summer. You’re going to find many people who simply no longer have the desire to clean their own pool and will gladly hire you. For a few minutes of work a day, you help out your neighbor to make sure everything still looks the same as the day they left. If you have a friend or know somebody that cleans houses, you can be their cleaning assistant. This is a perfect job if you have an eye for detail and you can even have flexible hours. Cleaning houses is another lucrative side hustle because many working professionals are too busy. By being a teen assistant, you can learn the tricks of the trade if you decide to clean properties for cash in your adult years. Eventually, you can scale your business and hire people to clean your client’s houses for you. You secure the clients but don’t have to do the dirty work! Time is precious for adults. As a teen with a newly minted driver’s license, you can run errands across town for busy adults. Maybe it’s taking packages to the post office, grocery shopping, or picking up dinner. Even if you don’t have a driver’s license yet, you still might be able to run local errands by foot or bike. If you like the idea of “buying low and selling high” you can also rent your video games and other valuable items to your friends. My brother did this in high school by charging $5 per rental. While didn’t get rich, it was easy money. Make sure you keep a written log of which person is borrowing your items. When you only need season work, you can mow lawns for cash. Your income potential is the highest if you have access to a riding lawnmower and trailer, but you can also make a nice income walking your own neighborhood too. Because most of the mowing season is during summer vacation, you can easily fill your days to work as often or little as you want. The bane of many homeowners and gardeners are weeds. You might have all the job security you need because they constantly need pulling. If you have a spare hour or two, you can ask to pull weeds at various homes for cash. It’s instant curb appeal improvement for the homeowner and you can offer this as an add-on service to mowing their yard too. During the winter in the northern states, you can also earn good money and enjoy a great cardio workout by shoveling snow. You can start by asking to shovel your neighbor’s driveway and sidewalk. If you have the equipment, you might be able to help clear church and business parking lots too. If you have have any neighbors with faded wood fencing or gates, you may want to offer your services to have them repainted. A great selling point for your future customers is to remind that many HOA communities require the fences and gates to properly maintained, which means these fences need to be painted every few years. Another great way to make money is to offer to install a composite fence slat which never has to be repainted and are very easy to install. Washing and detailing cars can also produce a steady income. If you have an eye for detail, this income stream has very few barriers to entry. You can go to Walmart and spend a few bucks on cleaning supplies to get started. Depending on the vehicle owner, you might be able to clean their car at their home. That means you can use their water and vacuum to make their car look immaculate! You can also clean their cars at a local self-carwash but it’s probably less convenient for both of you. And, your profit potential decreases with every quarter you plug into the carwash bay. If you enjoy being outdoors, you can also collect cans for cash as an easy way to get money. You can also collect glass bottles if your state charges a deposit fee on this item too. Recycling empty cans and bottles won’t make you rich, but it’s one way to get paid to pick up trash. If you have enough room for a chicken coop, you can sell farm fresh eggs. Many people are more than happy to buy local eggs instead of the grocery store. Because hens lay eggs all year, this can also be a steady income stream. And, you only have to walk to your backyard to gather the eggs. Green thumbs can also be successful in selling fresh fruit and vegetables. You can sell your goods at local farmer markets. It’s possible to take your business venture a step further and offering canned goods and preserves too. For example, you can make homemade salsa with your excess peppers, onions, and tomatoes. In addition to selling honey, you might also consider selling the honeycomb too. While you can learn these skills at your high school or community college, you can begin applying your knowledge in the field as a teen on a part-time basis. These are the perfect opportunities to decide if you want to pursue these career paths full-time as an adult, and they can pay more than your standard retail or restaurant jobs too. You can also make money helping on a local farm. Whether it’s for animals or agriculture, there’s always something to do. Farming is also a year-round business so you can conceivably work every week if you choose. The options are nearly endless. Choose your skills and find an item you can affordably produce and sell for a profit after factoring in your material cost and labor. Maybe one of the most sought-after teen jobs is being a pool lifeguard. Not only do you get paid to be at the pool, but you also get to practice your swimming skills and maybe even hang out with your friends if they lifeguard too. It’s also a seasonal job which makes it a great option if you don’t work during the school year. If you live near an amusement park, they probably need seasonal workers like yourself to staff the park. As a high school student, our local park held interview sessions in the Spring to attract teen workers. You can also visit their online website to submit an application too. This can be an entertaining way to interact with park guests and maybe you can even get free access to the park on your days off or before park opening too. Working at a summer camp is another way to make money during summer break. This is a perfect job if you like being around children or you have fond memories of camp and you want to pass those onto the current crop of attendees. If you really enjoy being a camp counselor, you also have an inside edge to return next summer where you can probably get a pay raise by assuming more responsibility. As an usher, you will check the customer’s ticket stubs to verify they are going to the correct screen. In between showtimes, you will also be responsible for cleaning the rows to make sure any stray popcorn kernels or soft drinks find their way to the trash can. When you’re not playing a game, you can referee youth sports games. This is a fun, seasonal job and the pay isn’t that shabby either. You can also enjoy doing what you love most, playing sports! You might not be making yardage recommendations for Jordan Spieth or Dustin Johnson yet, being a teen golf caddy is a great way to improve your own golf game. As a teen golf caddy, you help golfers and adult caddies as necessary. Having prior golf experience is a definite advantage. If you live near a golf course or you can legally gather used golf balls, you can sell them for a profit. Because your only cost is your time to gather the balls, you essentially profit from each sale. As a library assistant, your primary duty will be restocking shelves with returned books and videos. You might also lead storytime if you enjoy reading books and interacting with children. And, you also get first access to being able to read great books! Flipping burgers or being a restaurant cashier is an uncool job for most teens. Let’s face it, nobody enjoys coming home smelling like a french fry. But that doesn’t mean you should shun the restaurant industry. Working at a restaurant can offer many opportunities. For example, you can earn more being a waiter or waitress who earns tips instead of an hourly wage. Or, you can eventually become a team leader (learn leadership skills) or even earn employee-only college scholarships that can help you in the future too. There are many seniors or senior communities looking to hire teenagers to come by and spend time with them. As a teen, you can earn cash by showing up to help seniors with small jobs around the house, playing games with them, or taking them out and about if you have a car. The best place to look for these jobs is to contact the local senior community center or post an ad in a senior community newspaper. You won’t make money as a teen volunteer, but there are many other benefits. For example, volunteering is a critical component to getting accepted into your first choice college or winning college scholarships. And, you can build local networking connections so you can get a letter of recommendation or future job opportunities as a college student or recent graduate. Volunteering also helps you gain experience and explore potential career paths. For example, you can volunteer at the local fire department, ride along with police officers, help the elderly, or keep your local community clean through civic organizations. Before you go out and offer your skills or services, keep in mind there are ways to increase the amount of money you are paid which doesn’t take much more work or skill on your end. First, always start with a smile. People are naturally attracted and tend to like those who smile more often than not. When it comes time to naming your price or telling your customer how much they would have to pay you, you’re going to have much better results with a smile. Secondly, show up on time. If you can live by the old saying, “if you’re early you’re on-time, if you’re on-time you’re late, and if you’re late don’t bother showing up” then you are already ahead of the game. Lastly, underpromise and overdeliver. This is a great method to get repeat customers or have your customers refer you to their friends and family. People love getting a good deal, and when you can deliver results way above their expectations, they already feel like they are getting a great deal and will use you for future jobs in the future. The possibilities are almost endless for how to make money as a teen. Instead of submitting an application at the closest business because it’s convenient, taking a step back to evaluate all your income options can be one of the best decisions you make in your teen years. In addition to learning life skills, you can also have fun at the same time. 27 Best Places to Get Keys Made Near You and for the Best Price How Much Should You Spend on an Engagement Ring?